Park Insurance > Blog > Motor > Van insurance > Should I Use an Electric Van For My Business? Driving an electric van can make great business sense. It can save your company money and help to reinforce your reputation as an environmentally-friendly organisation. As more and more businesses switch to electric powered vehicles, we look at everything you need to know about buying an electric van. From running costs and tax implications to commercial electric van insurance, we answer your questions so you can decide if it’s the right purchase for you. Cash saving incentives have encouraged many drivers to switch from petrol or diesel to battery power. The big vehicle manufacturers have taken note, and more and more electric models are debuting on our roads. The switch has not gone unnoticed by van manufacturers too. In Oct 2018 there were 182,000 electric vehicles registered in the UK with 10,000 of these being electric vans. Why should I consider switching to an electric van for my business? Projecting a more environmentally friendly image for your business. Saving your business money on running costs. EVs are quieter than diesel or petrol vans, reducing noise disturbance to neighbours. How much does it cost to buy an electric van? The cost of purchasing an electric van varies depending on the model you choose. EVs are generally more expensive than their diesel or petrol counterparts. However, you can save money if the model you opt for is eligible for a government grant. This brings prices more in line with diesel or petrol versions. You can get a discount on the amount you pay for a brand new electric van if it has been approved by the government as eligible for a grant. A grant of 20% of the purchase price (up to a maximum of £8,000) is available. 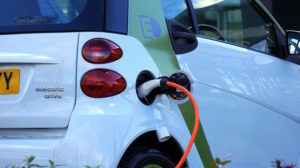 Grants are available for vehicles with CO2 emissions of less than 75g/km, which can travel at least 10 miles without any emissions (operating purely under electric power). How can an electric van save me money? 1) EVs are exempt from the congestion charge if you need to drive in London. This saves £11.50 a day (Monday to Friday). 2) From 8 April 2019, the Ultra Low Emission Zone (ULEZ) will come into effect in London. This will mean you won’t be allowed in the zone if your vehicle does not meet certain low-emission criteria. If you do enter, you’ll face a £160 fine. Low-emission petrol and diesel vehicles will need to pay the daily £12.50 charge. But all electric vans will be exempt from the charges. Clean air zones are also being introduced in other UK cities, including Southampton, Birmingham, Leeds, and Glasgow. 3) Dramatically lower fuel costs. It costs around £1.50 to fully charge your electric van overnight. But the amount of diesel you’ll need to travel 100 miles is likely to cost ten times that at around £15. What about insuring my electric van? When you’re balancing out the cost savings, don’t forget to take account of the insurance costs. It can cost slightly more to insure your electric van because the purchase cost is generally higher than the diesel counterpart. Repair costs are higher too. But if the vehicle is used solely for your business, remember that your insurance costs can be deducted from your taxes. One of the main factors to consider when buying an electric van is the restricted range. If you do lots of short local journeys you should find the 106 mile range between charges of the Nissan e-NV200 and Renault Kangoo ZE ample. But if you need to do long motorway journeys, you may need to keep stopping to re-charge on the way. And that could be bad for your business. Bear in mind that the manufacturers stated range can be influenced by other factors. Carrying a heavy load or a passenger, cold weather, and using the heating or air conditioning can all reduce the number of miles you can travel between charges. And, just like with a phone, you’ll notice that as the battery gets older, it doesn’t hold its charge so well. But also remember that the technology for electric vehicles is evolving rapidly. Manufacturers are heavily investing in this area and vehicles with longer ranges are being launched regularly. How long does it take to charge up an electric van? 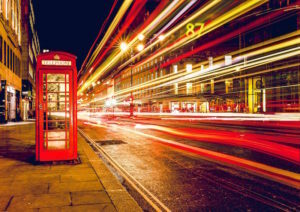 The length of time it takes for you to charge up your electric van will depend on the type of unit you’ve plugged into. The three main EV charger types are units up to 3kW, which take around 6-8 hours for a full charge and are best used overnight. For a quicker charge up time, opt for a 7-22kW unit, which typically takes around four hours to fully charge up your vehicle. And if you need a quick charge you could invest in installing a rapid charger. These can deliver around 80% charge in just 30 minutes. Just remember that the type of charger your vehicle comes with may not be compatible with each type of unit, so you may need to invest in an additional adapter. You can also buy adapters that allow you to charge up your electric van using a standard 3-pin socket. It can take up to 12 hours to charge, but that should be no problem if you do it overnight. Where can I charge up my electric van? There are also now over 19,000 public charging connectors across the UK at over 6,600 locations, with more and more being added every day. 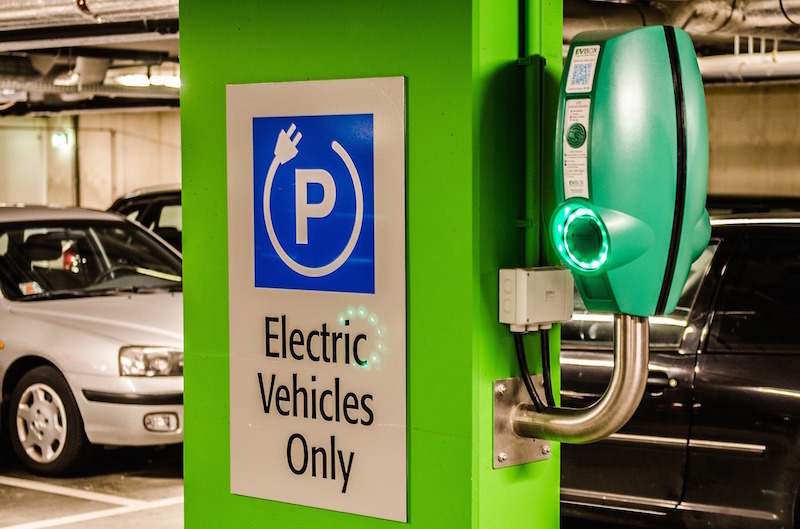 Whether you’ve got a fleet of EVs or just want to insure one, speak to our expert team at Park Insurance. We understand the specific needs of commercial van owners. We’ll guide you to find robust insurance that will support your business ambitions. And we’ll use our independent status and industry links to negotiate the best price deal to keep your overheads lower. Call us today on 0177 9556835 or get in touch for a free no obligation quote.